(1) Whatever begins to exist must have a cause of its existence. (3) Therefore, the universe has a cause of its existence. Additional argumentation is then introduced to show why the cause must be an immaterial, eternal and personal being (i.e. God). Is the argument any good? I have looked at several critiques of the arguments over the years. I thought it might be useful to collect all of those discussions in one place. So that's exactly what I have done. 1. Must the Beginning of the Universe have a Personal Cause? The second premise of the Kalam is often defended by claiming that the past cannot be an actual infinite because the existence of an actual infinite leads to certain contradictions and absurdities. This is probably the most philosophically interesting aspect of the Kalam argument. One of the thought experiments Craig uses to support the argument is Hilbert's Hotel. In this series of posts, I look at Landon Hedrick's criticisms of this thought experiment. 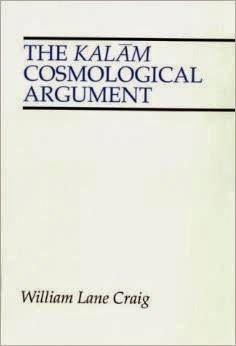 The central concept in the Kalam argument is that of 'beginning to exist'. But what does it mean to say that something begins to exist? This post looks at Christopher Bobier's interpretation of the phrase, arguing that there is no plausible interpretation that retains the intuitive appeal of the argument.